Speleothems inspire Artist Carmen Turner’s Abstract Works in Kortman Gallery Exhibit...opening April 21st! Her subject matter is speleothems, which most people know as stalactites and stalagmites. They are sculptures of nature and they have inspired the latest works by Rockford artist Carmen Turner who will exhibit her series of abstract art for ArtScene weekend, Friday and Saturday, April 21st and 22nd in the Kortman Gallery. 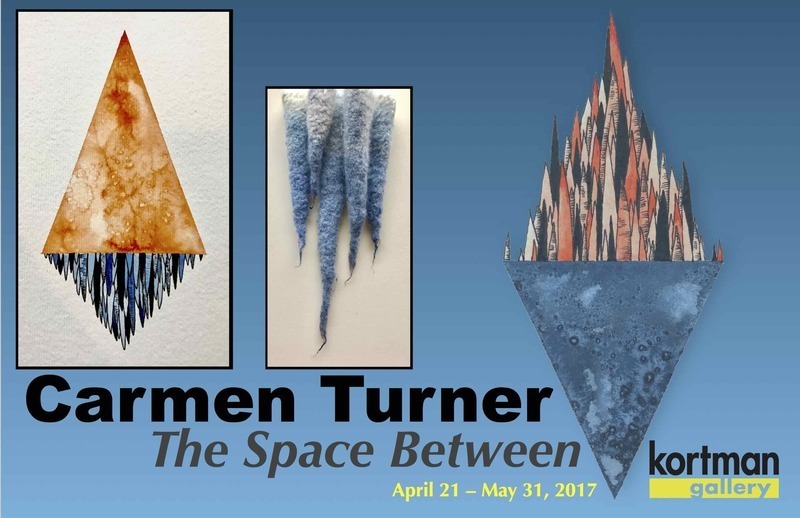 Turner, who creates her work at MainFraim studio in Rockford, has titled her exhibition, “The Space Between” in reference to her fascination with origin, shape, and formation of speleothems. Opening receptions for Carmen Turner’s Spring ArtScene exhibition, “The Space Between” in the Kortman Gallery will be Friday, April 21st, 5 to 10pm and Saturday, April 22nd, 4-9pm. It will be on display through May 31st. Kortman Gallery is located upstairs at J. R. Kortman Center for Design, 107 North Main Street in Downtown Rockford. The opening receptions are free and open to the public. For more information call 815-968-0123 or visit www.jrkortman.com.